Can’t decide on a finished gift? 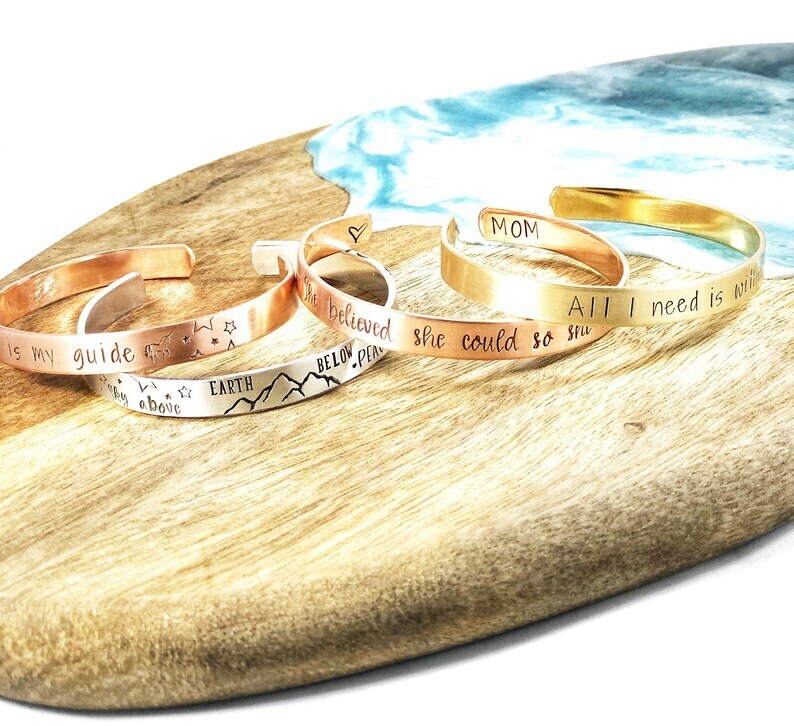 Personalize this hand stamped cuff bracelet with anything you’d like: quotes, coordinates, mantras, designs, names, lyrics, dates, Roman numerals....it’s only limited by what you can imagine! Hand stamped one letter at a time. *Please put the font and designs of choice in the comment box! *Measures 6” with approximately a 1” opening to slide your wrist in. Comfortable for wrist sizes up to 8”. If you have larger wrists, please order the larger version. Very nice item. THe only disappointment was I thought more than one would come with the order but this is my error in not looking close enough at the description. Michele is great to work with and I love my personalized stir stick! I've actually bought a few to give to friends. Truly beautiful work on her jewelry. I am over the moon with my treasures from her shop. Thank you so much for everything, Michele! !